When an aging Roger Moore finally retired from the James Bond series in 1985, a young Irish actor named Pierce Brosnan was hired to replace him. However, when his series Remington Steele featured a surge in popularity following his casting announcement an option in his contract for more episodes was accepted meaning that he had to turn the role down. In 1987 Timothy Dalton finally appeared as Moore’s replacement in The Living Daylights. More serious than Moore, Dalton took Bond back to his literary roots as a fierce killer. However, Bond faced his biggest challenge yet – the 80′s action hero. Faced with action stars like Stallone, Schwarzenegger, Bruce Willis and Mel Gibson, it appeared that Bond had finally met his match. In the summer of 1989 Licence to Kill failed at the box office when pitted against the blockbuster likes Batman, Indiana Jones and Lethal Weapon. It looked like the era of Bond was over. Audiences never really connected with Dalton’s portrayal of Bond. While he may have taken the part with the best of intentions, many critics believed that the Welsh actor felt that the role was beneath him. Looking back it’s easy to see that this just wasn’t the case, the excess of the 1980′s just wasn’t ready for this interpretation of Bond. Maybe things would have been different if audiences had been given the opportunity to see Dalton in more of the super spy’s exploits; however they wouldn’t have the opportunity. Following a 6 year court battle over rights issues between Eon and MGM, many thought that the suit wearing Bond was now a relic of a bygone era. In the mid 1990′s Dalton declined an invitation to return to the legendary role and, in 1995, Pierce Brosnan finally had his chance to star as James Bond in Goldeneye. Re-launching the franchise in glorious fashion the film and Brosnan’s subsequent films were a huge success. Each of Brosnan’s films grossed more and more at the US box office and he became Bond for a whole new generation. However, following the 9/11 bombings and the Jason Bourne films many thought that 2002′s Die Another Day had taken the franchise back to the realms of Moonraker with its far-fetched plot and over the top special effects. Deciding not to renew Brosnan’s contract for a 5th film, the Broccoli family hired controversial choice Daniel Craig to reboot the franchise (along with Goldeneye director Martin Campbell). Whilst many thought that the film would be a huge failure, the film became a critical and commercial hit. Bond was back. Craig and Campbell stripped away many of James Bond’s iconic elements. 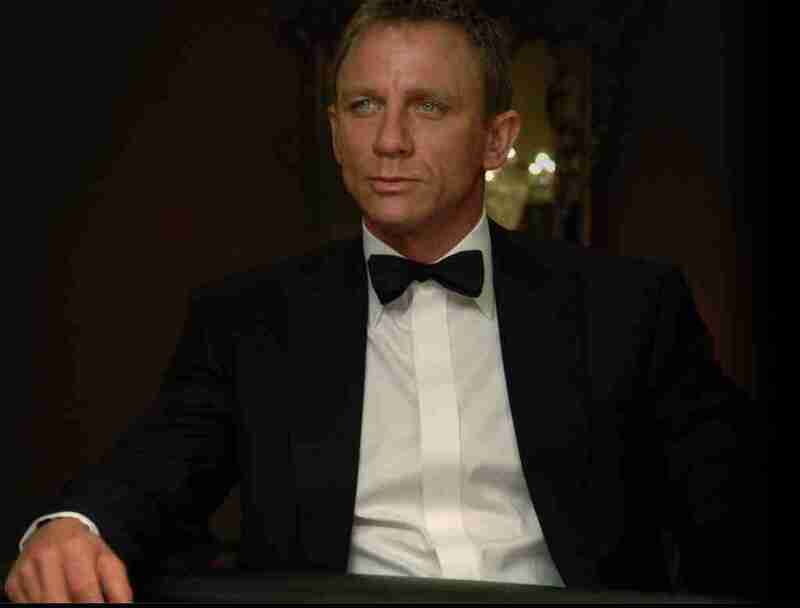 Discarding Q, Moneypenny and gadgets this 21st Century Bond was again more like Ian Fleming’s original creation. Mark Forster’s Quantum of Solace takes a similar approach – however the film feels like homage to the Roger Moore years with many images and situations recalling the 1970′s and early 80s period of Bond. Don’t worry – this isn’t a bad thing. Solace is a leaner movie than Casino Royale, and the film picks up mere minutes after that films finale (a first for the series) and follows the previous films plot points through to its conclusion. Action packed, but light on quips Solace is the shortest film in the franchises 46 years, but with its high grossing box office it looks like James Bond will keep retuning every few years. Sam Mendes is currently working on Skyfall, which promises to see a return of some of the franchises more iconic traits. Javier Bardem plays the villain of the piece with support from Ralph Fiennes and Albert Finney.